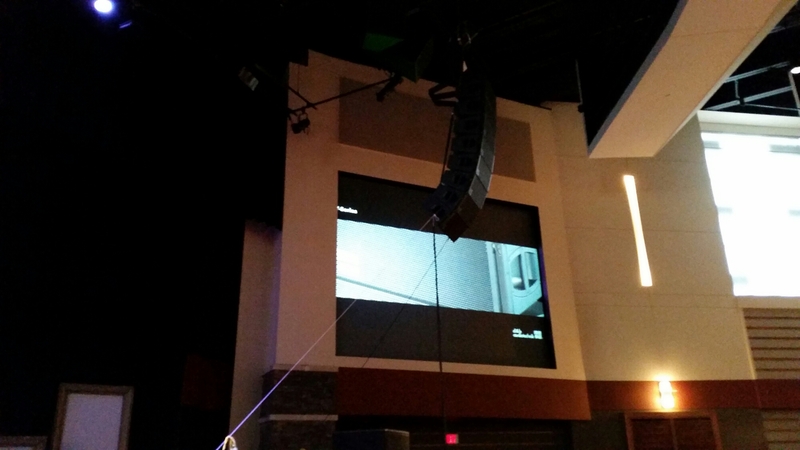 I was fortunate enough to be present for D & B Audio’s presentation of their new Y series speakers at the First Alliance Church in South Calgary. The representatives of this German company had set up six boxes of dual 8″ line array and two boxes of dual 12″ per side of the new Y series. The 12″ boxes were utilized closest to the front row so as to generate a wider dispersion in this area. The speakers are powered by unbelievably efficient amplifiers with built in signal processing and touch screens. 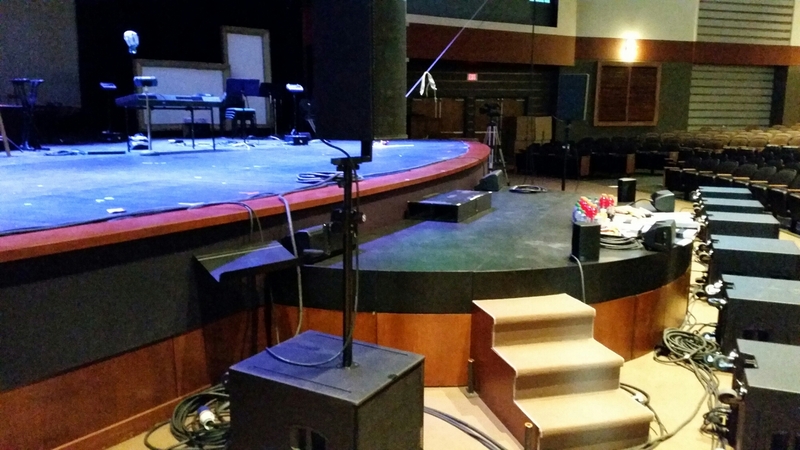 Below is an image of the y10’s on pivoting stands atop of their matching omnidirectional subwoofer. On and off axis listening of the y10 passive speakers proved the representative’s claim of very consistant frequency production up to almost 500hZ on and off axis. All of the speakers are clean with no equalization applied and as the rep said are tuned with a slight dip around 4k in the box itself which from my perspective seemed to eliminate the harsh high end usually found in point source speakers. Matching cardioid subwoofers were also onsite, this pattern is achieved by utilizing a 12″ driver along side the 18″ in the same box. The designers then fine tune the speaker with plywood and porting to adjust the phase. 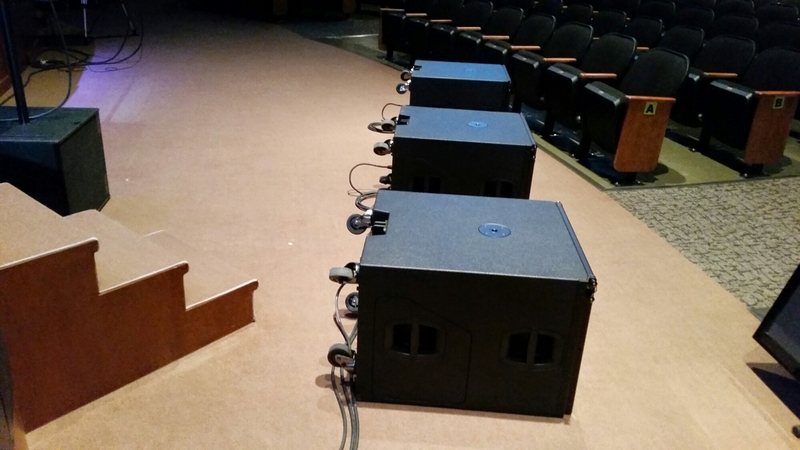 D & B presented a subwoofwer array to match the line array which delivered a continuous frequency dispersion across the room by using software analysis to delay some of the boxes minutely to correct their phase. One unique feature of D & B Audio as a company is that they only release one version of each type of speaker. This makes it so that a touring production company could augment their rig without compromising the sound quality and maintain their peace of mind knowing that the equipment they rent will be the exact version they are currently carrying.